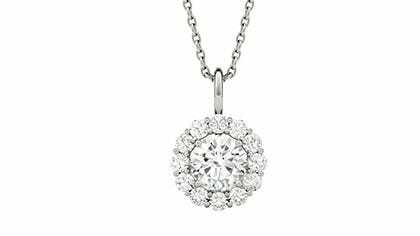 A timeless, sophisticated way to say "I love you." Halo necklaces highlight a solitaire gemstone with accent stones, making it the perfect combination of classic and modern style. Add vintage flair to your ensemble with a drop halo pendant or make a bolder statement with a double halo. 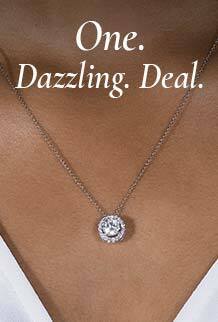 Charles & Colvard’s moissanite pendants are designed to catch the light at any angle, so you don't have to worry about adding more sparkle.